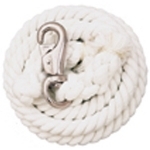 This simple white cotton lead features a durable nickel plated bull snap. Measures 5/8" x 10'. 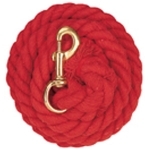 Soft cotton lead in popular colors with a non-rust solid brass 225 snap. Measures 5/8" x 10'. 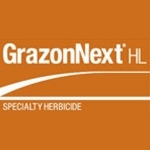 A next-generation herbicide that provides better efficacy on most broadleaf weed species and an outstanding environmental profile, thanks to advanced weed control technology. Especially tough on hard-to-kill perennials, including nightshades, horsenettle and Texas bull nettle. This is a postemergent systemic herbicide with no soil residual activity. 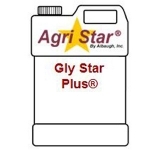 Gly Star Plus® is non-selective and gives broad-spectrum control of annual and perennial weeds, woody brush, and trees. 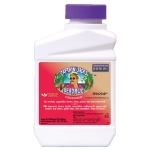 This product is labeled for over-the-top of Roundup Ready® Crops. Gly Star Plus® contains surfactant. 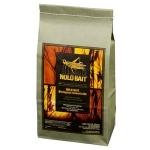 Nolo Bait™ is a long-term grasshopper suppression agent. It is a spreadable bait made from flaky wheat bran coated with Paranosema (Nosema) locustae spores. Grasshoppers eat the bran, thus becoming infected with Nosema. One annual application is all it takes to control grubs all season long.....”It’s that simple”! 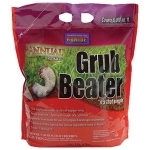 Also kills European Crane Fly larvae, mole crickets and other turf destroying insects. Apply any time, spring through summer. 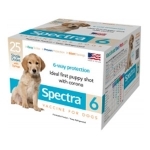 Contains 0.5% Imidacloprid. Compare & Save! 6 lbs. 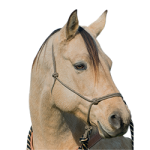 A high fat, pelleted feed formulated for mature horses. 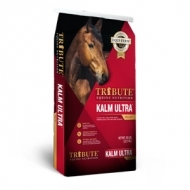 Kalm Ultra is excellent for hard-keepers, horses in heavy work, and horses recovering from extreme weight loss. 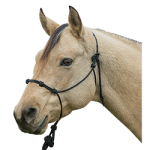 It is also ideal for horses requiring less NSC in their diets, like those who have conditions such as ulcers or tying-up. Fortified with balanced and essential nutrients. A lower NSC pellet with a small inclusion of whole oats formulated for all classes of mature horses. 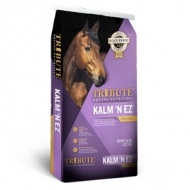 Kalm ‘N EZ Textured is a great choice for horses requiring a highly digestible source of energy to support performance while keeping NSC intake low. Fortified with balanced and essential nutrients. A low NSC pelleted feed fortified with balanced and essential nutrients and formulated for all classes of mature horses. 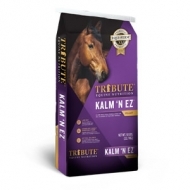 Higher fat and highly digestible fiber levels support calmer performances without loss of energy or condition and make this product excellent for horses that are harder keepers. 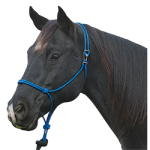 Low NSC levels are beneficial for hyperactive or special needs horses, such as those with insulin resistance, PPID, laminitis, or tying-up. Eliminates the need for two halters! 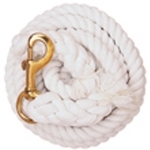 Quality poly rope design has a lead on each side for tying animal to a chute, helping to minimize head movement during clipping. 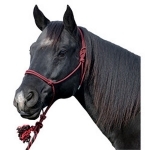 Halter is for use in chute only; not intended for leading animal. 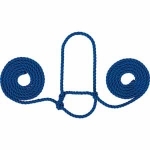 Do not tie on the right side only. 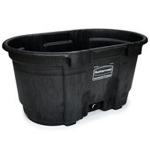 Rackmaster® spring mixtures are truly the answer to anyone's spring and summer planting program. Deer need a good high quality food source in the spring and summer months. 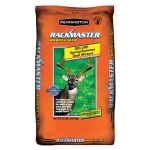 Rackmaster® will provide the fuel to develop antlers , body size, milk for developing fawns and overall health for the entire deer herd. 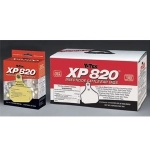 XP 820 is a unique, slow-release ear tag for cattle that is the first ever tag to contain abamectin (avermectins B1a and B1b), a highly active macrocyclic lactone that has never been used before on cattle in the USA. The patent-pending formulation contains a high loading of piperonyl butoxide which synergizes the abamectin for maximum pesticidal action. PYthon® Magnum is a sustained-release, plastic ear tag containing a synergized formulation of zetacypermethrin, a potent, enriched S-isomer pyrethroid compound. 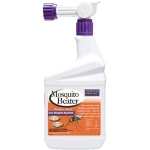 This insecticide has excellent activity against many pests, including horn flies that are resistant to certain other insecticides. 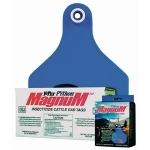 PYthon® Magnumʼs larger net weight of 15.4 grams per tag provides greater insecticide release for maximum effectiveness against horn flies and other ectoparasites. 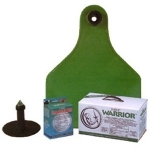 Warrior™ is a unique 40% organophosphate ear tag which releases a synergized formulation of diazinon and chlorpyrifos from an exclusive Tri-Polymer matrix of non-toxic inert ingredients.